where finger-licking, shell-cracking, and head-sucking are socially acceptable activities. WE ONLY SERVE THE BEST! At Lulu's Crab Boil, we want to treat you well. Your experience is our number one priority. After serving customers for 35 years in Central Arkansas, Bill and Lulu Chi wholeheartedly consider themselves to be true Arkansans. With their history and knowledge of seafood preparation, they have now introduced their friends and family to their joyous love of seafood prepared spicy and flavorful. We take the quality of our seafood seriously. Our lobster is live-imported from Chicago, and we source our oysters, brown shrimp, and Louisiana crawfish from the Gulf Coast. We are proud of the care we've taken in preparing each dish from homemade recipes! Dining at Lulu's Crab Boil will take you from Arkansas right to the Coast! Our aesthetic is one you might find at a small Cajun crab shack on the beach. You know, the place where all the locals go. When Bill and Lulu Chi first immigrated to Little Rock in 1981, they started a modest but successful restaurant called Cuisine of China. With hard work and a lot of community support, Bill and Lulu grew their restaurant business significantly. While they are most known for owning and operating more than 10 unique Asian restaurants, lesser known is that their roots date back to Shangdong, China, where Grandpa Chi started China Fishing Company. On a daily basis, their boats would go out to catch oysters, the freshest seafood, crab, and especially shrimp. Every weekend, fishermen would bring the freshest of the catch home to share in abundance with their families and friends. Always with an ice cold Tsing Tao in hand, many times and hours were spent in fellowship around the dinner table enjoying fresh boiled seafood, corn, potatoes, and raw oysters.Today, China Fishing Company continues to flourish, carrying forth a seventy-year-old tradition of fishing the Taiwan Strait in the South China Sea. 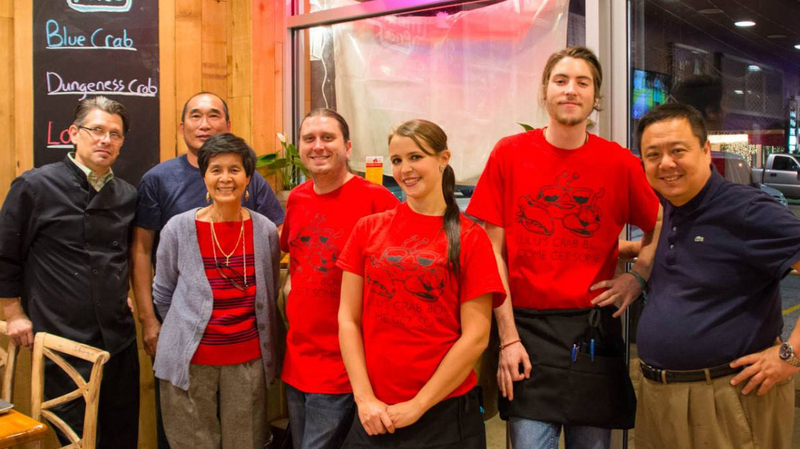 With Bill and Lulu Chi’s history and knowledge of seafood preparation, they would like to introduce their friends and family to their joyous love of seafood prepared spicy and flavorful. We invite you to experience the fun of our finger licking, head sucking, shell cracking seafood right here in Central Arkansas. We hope you come to enjoy and come often.